Gustavo G. Perez, 67, of Amarillo passed away April 13, 2018. Memorial services will be held at 10:00 a.m., Friday, April 19, 2019 at Templo Betel, 905 S. 5th in Brownfield, TX. Inurnment will be held at 2:00 p.m., in City of Lubbock Cemetery. Arrangements are by Angel Funeral Home, Amarillo. He is preceded in death by his parents, Gustavo B. Perez and Maria G. Perez; and two sisters, Consuelo Fierro and Bernardina Fierro. 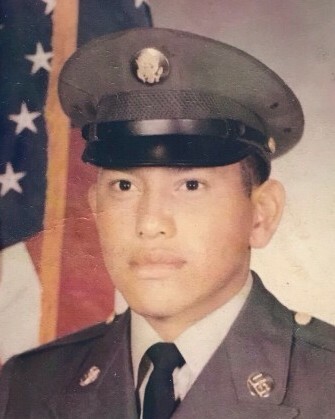 Gustavo is survived by five sisters, Linda Sauceda, Corina Flores, Mary Jane Chavez, Hope Garcia and Maria Hernandez; brother, David Fierro; his dear family friend, Louie R. Chavez; daughters, Veronica and Monica Perez; sons, Gustavo Perez III, Ramon Perez and Mark Diaz; four granddaughters; nine grandsons; and numerous nieces and nephews.